Singapore-flagged containership Maersk Newbury was boarded by pirates while transiting under pilot at Guayaquil River in Ecuador on October 2, 2018. The master alerted the local authorities when he sighted the presence of unauthorized persons on board, Asian piracy watchdog ReCAAP ICC informed. One of the crew members was assaulted by the robbers and sustained a small cut on his forehead. The crew managed to escape and hide in the forecastle store. 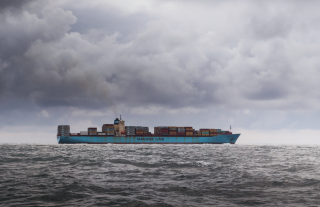 After the robbers realized that they had been discovered, they left the 2,556 TEU ship. The Ecuador Coast Guard (ECG) conducted a search, finding no perpetrators on board. The injured crew was given first-aid treatment, and the ship resumed its voyage. There were no injuries to the remaining crew members and no items were stolen, ReCAAP added. Built in South Korea in 2001, Maersk Newbury is owned by Danish shipping giant Maersk. Previously known as Caroline Schulte, the ship was attacked by pirates also in October 2006, according to information provided by VesselsValue. Back then, eight robbers came alongside the ship, at port side, and one robber boarded, while the ship was at anchor off the South Atlantic Ocean. After the alarm was raised, the robber escaped.